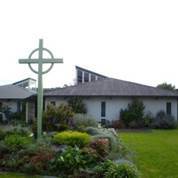 A story to begin: So Jesus comes to Browns Bay Presbyterian. And it’s just before the 50th anniversary of the laying of the foundation stone here. 2015. The anniversary committee has worked hard to refurbish the place. We celebrate the lives of all who have put their money into the work here. Generous and hard-working people. And Jesus says in a rather offhand manner – “It will all be destroyed one of these days. Not one block or brick will be left standing on another”. All gone! Spoiling the party? Maybe. That’s basically what verse 5 and 6 of Luke 21 says: Some of his disciples were remarking about how the temple was adorned with beautiful stones and with gifts dedicated to God. The altar of the temple would have been beautifully adorned, and each stone carefully cut. He had watched the rich give their offerings and the poor widow who gave her all – jus before this. And that temple – well it took longer to build than our church building has been standing here. When Jesus refers to it in John’s gospel – it had been undergoing 46 years of rebuilding begun by Herod and was not yet finished. How do we know when this will happen? All those movies about the apocalype and the end of the world speak of our facination with this theme. How do we know WHEN? Well that’s a tricky thing really. By the time Luke wrote this down (remember that initially everything was by word of mouth) the temple would have been destroyed by the Romans – in AD 70. Part of these words were fufilled back then – and part speak of things yet to come (like the book of Revelation). v10 Then he said to them: ‘Nation will rise against nation, and kingdom against kingdom. v11 There will be great earthquakes, famines and pestilences in various places, and fearful events and great signs from heaven. v12 ‘But before all this, they will seize you and persecute you. They will hand you over to synagogues and put you in prison, and you will be brought before kings and governors, and all on account of my name. For years ever since these words were spoken – people have been speculating about the end times. All kinds of people have sold everything up and waited in white robes on a hillside for Jesus to beam them up – only to come down cold and hungry after a few days to look for a job or apply for a benefit. Mark 13:32 is a key verse here: “No one knows about that day or hour, not even the angels in heaven, nor the Son, but only the Father. This verse has fascinating implications and raises interesting questions for the curious. Jesus didn’t know back then – as a human being. Does he know now? Or does the Father still keep his cards close to his chest. Speculation about when is not helpful if this knowledge is such a closely guarded secret. There are important points that we can be sure of however. Mar 13:33 Be on guard! Be alert! You do not know when that time will come. Mar 13:34 It’s like a man going away: He leaves his house and puts his servants in charge, each with his assigned task, and tells the one at the door to keep watch. Mar 13:35 “Therefore keep watch because you do not know when the owner of the house will come back—whether in the evening, or at midnight, or when the rooster crows, or at dawn. Mar 13:36 If he comes suddenly, do not let him find you sleeping. One way or another – this could be your last day – and you should always keep short accounts and be ready! 2. Here’s the second key thing: Nothing is permanent. The temple – built so carefully with all those beautiful gifts – is only a shell – what happened in it matters. So too this church. It’s all temporary. Ask the people of Christchurch. Ask the people washed away by that Tsunami in Japan. As the people of the Philippines today. They will testify to the temporary nature of things material. I know last week we acknowledged those who have been faithful in stewardship and support of the ministry here – and that we benefit from the generosity of others in having use of our facilities. But don’t place too much emphasis on stuff – like buildings. The whole lot will eventually come down. Like the Temple. The Kingdom of God is about other things. People – relationships – love – and mostly worship of God and seeking to do and be what he wants us to do or be. Our home group shared about faith and action this week – about random acts of kindness – about serving others – like last week’s message about sacrificial love – that’s what matters. 12 ‘But before all this, they will seize you and persecute you. They will hand you over to synagogues and put you in prison, and you will be brought before kings and governors, and all on account of my name. 13 And so you will bear testimony to me.14 But make up your mind not to worry beforehand how you will defend yourselves. 15 For I will give you words and wisdom that none of your adversaries will be able to resist or contradict.16 You will be betrayed even by parents, brothers and sisters, relatives and friends, and they will put some of you to death.17 Everyone will hate you because of me. 18 But not a hair of your head will perish. 19 Stand firm, and you will win life. The third point is in verse 13. 13 This will give you an opportunity to testify. This is about opportunities to testify. And the context is not a church service where people give a testimony. Rather it is when we are brought before the authorities – because of our faith. Christendom is dead. Christianity is no longer the religion of the Empire – from the Roman Empire to the British Empire – it was fashionable and socially acceptable to be a Christian. It is no longer. One of the hardest places today to be a Christian is in Britain – where many of our ancestors came from. And in Post-Christian Europe. And it is becoming progressively harder in our country. Instead of lamenting this – we need to see that like the early church we have an alternative story – a different narrative – a God-perspective on life. Testifying for them – back during those phases before Constantine where Christians were persecuted on and off (depending on who was Emperor at the time) – bearing testimony was closely related to martyrdom. In fact the word in the original text is marturion. What we say under pressure is the key witness to Jesus. a. Don’t prepare in advance (14-15) – he will give us words and wisdom. That may seem risky, but it is a faith and trust thing. b. Family and friends could hand you over (16) – this is messy and you could be killed. It is risky for many who leave their family’s faith or non-faith to follow Christ. c. You will be hated because of Jesus (17) – by everyone! Clearly courage was and is reqiured. d. You will keep your hair on (18) – what does this mean? * This reflects the extent of God’s care for us and his knowledge of us. e. Stand firm and win life! (19) – endurance is the key! “Endurance” appears more than 30 times in the letters of the NT. Nothing will touch those set apart for God! Which leads logically to the last point: v19 By your endurance you will gain your souls. (NASV) Or in the NIV: Stand firm, and you will win life. Keep perspective – because nothing is permanent! There will be an opportunity to testify! And stand firm – endure. And you will win your life or your soul. Posted on November 17, 2013, in Sunday Morning Sermons and tagged earthquakes, Herod's temple, Jerusalem, last days, not one stone left on another, ornate, temple, tesify, testimony, tsunamis, typhoons, witness. Bookmark the permalink. Leave a comment.